Paris Nord is one of the six large terminus stations in Paris, France. Hotels Near Gare Du Nord can be very convenient as it is located near the railway station which has connections for Paris Métro, RER and buses, It is quoted as one of the busiest railway station in Europe, the 24th busiest in the world and the busiest outside Japan. Very classy and authentic, 0.7 miles from Gare du Nord, located in a quiet street near the lively Grands Boulevards and located in Opéra district. 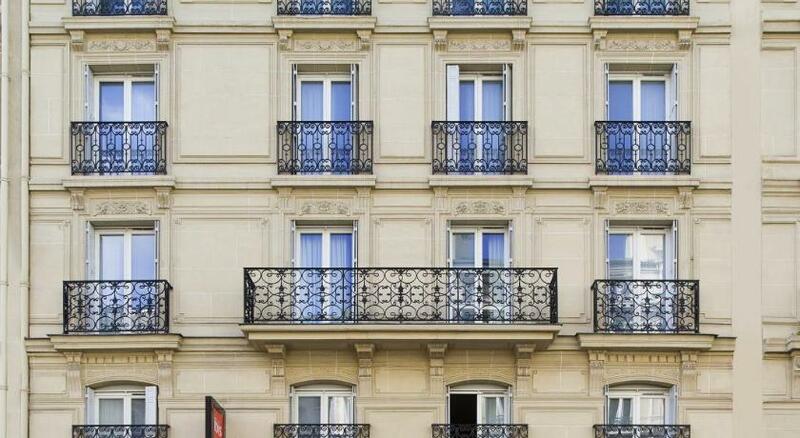 Villa Opera Drouot offers you staying in a traditional Haussmann building – this hotel is luxurious and elegant in every sense. Lovely decor, elegant in style, the Baroque decor with velvet curtains will never fail to charm you, talking you straight to the Belle Epoque atmosphere. This hotel is right in the heart of Paris The rooms of Villa Opera Drouot feature modern amenities and carefully furnished interiors. Rich, cultivated, comfortable, and casual atmosphere, that’s what Grand Pigalle is going to be for you. 550 meters from Moulin Rouge and 800 meters from Montmarte. Opening onto the villas of the avenue Frochot, the private estate where Toulouse-Lautrec once lived, the 37 rooms of the Grand Pigalle Hotel choose liveliness over nostalgia. 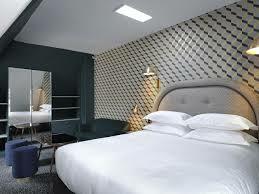 Among the Hotels Near Gare Du Nord, it very cosmopolitan par excellence, quintessentially very Parisian. The ground floor, a space for reception and the wine bar, is very vibrant, full of energy and liveliness, very hedonistic in its essence. Its is said that here the the spirit of “Bed & Beverage” reigns. Pigalle Le Grand Hotel is located 100 meters from the Pigalle Metro station and 800 meters from the Sacré-Coeur basilica. One of the best Hotels Near Gare Du Nord. If you would like to see the exceptional sights of the Sacré Cœur, the Eiffel Tower and the rooftops of Paris, you know where to stay. Hotel Carlton’s it would be. You can see all the amazing sights, with a bird’s eye view on a panoramic terrace. Within a walking distance from Sacré Cœur and very close to the Moulin Rouge. Once a focal point of Parisian life, Boulevard Rochechouart is at food of Montmarte, very close the 19th-century of Paris. Remnants of past can be still seen: the ” Place du Tertre” and its famous painters, the Sacré Cœur, the Moulin Rouge and countless cabarets and restaurants which offer a plethora of an invitingnight life. It is 0.7 miles from Gare du Nord. One is IBIS Style- more style, more chic, and modern but with a little pricey. Second one is IBIS Basic- basic, comfortable, and at affordable price. Serotel suites are perfect for business travelers and likes. They have hardly any single rooms, the suites are more like individual apartments. The living rooms are massive and can be perfectly used for meetings for business purposes, or non-business purposes as well – especially if you’re a family, or traveling in groups. Modern décor and contemporary in style, Serotel suites offers well-equipped suites, catering to your personal needs. Very much in the centre of Paris, at the intersection of the 9th and 10th arrondissements. 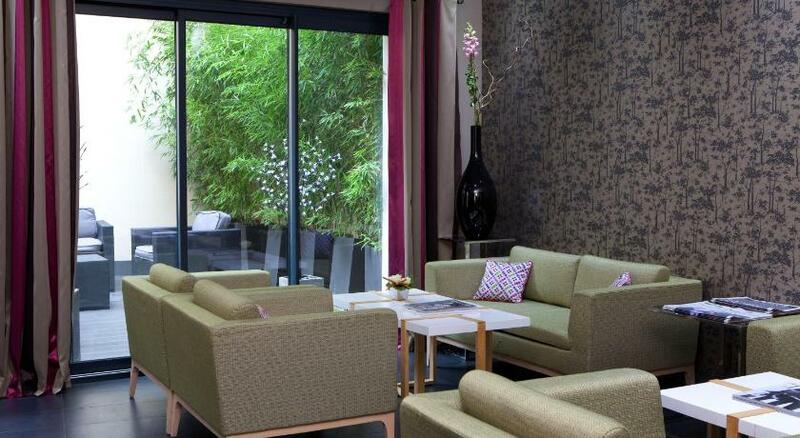 Stylish, modish, chic and very trendy – close to hubspots, Serotel Suites is the ideal hotel for making the most out of Paris’ monumental spots. Business, sightseeing, shopping, dining or entertainment – be it anything, Hotel Albert makes sure your stay in the French capital is convenient. Features a very central location that will meet your needs and desires. Feature single, double classic, triple rooms, set in a typically Parisian neighbourhood that boasts a combination of cafes, restaurants and shops, and is just a short stroll from many beautiful and fascinating city attractions, including the Opera Garnier, the Pigalle district, the Grands Magasins department stores, and the Canal Saint-Martin. 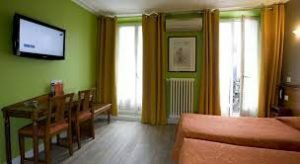 This hotel is very close to the lively Canal Saint-Martin. Set in a Haussmannian building in central Paris, this fully air-conditioned hotel is located opposite Gare du Nord Train Station. It offers guest rooms with free Wi-Fi access, 24-hour reception, air-conditioned rooms, flat- screen TV. Satellite TV and a telephone are standard in each soundproofed guest room. They have a arched stone cellar at New Hôtel Gare Du Nord, where the breakfast is served. Gare de l’Est Metro Station is 600 m from the New Hôtel, providing direct access to the Louvre Museum and the Latin Quarter. The lively Montmartre district is a 15-minute walk away.